Home allardyce blackburn desai ewood park football takeover venky Venky's Takeover of Blackburn: Could it be a Curse? 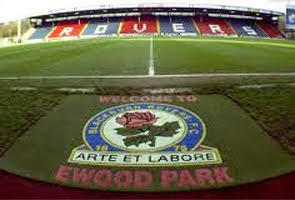 Blackburn today became the ninth Premiership side to come under foreign ownership as Venky’s takeover was confirmed. They join the American-owned Manchester United, Liverpool, Sunderland and Aston Villa, the Russian-owned Chelsea, the Arab-owned Manchester City, Hong Kong-owned Birmingham and Egyptian-owned Fulham. Blackburn are now the first ever Indian-owned Premiership club after the £46m takeover was completed early this evening. However, any Blackburn fans hoping that the new owners intend to force their way into the top echelons of the Premiership will be disappointed. 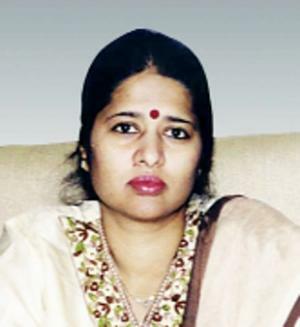 Indeed, the comments coming out of the Indian camp, particularly from Anuradha Desai, the woman who has appeared to be the figurehead of the bid, raise questions about their ambitions, and even their knowledge of football in general. “We don’t expect to be in the top five of the Premier League. We will be happy to be in the top 10 to 12.” This is hardly a statement of real ambition, considering they finished in the top half last season, as they have in four of the past five years. It is not as though Blackburn are a side that are regularly battling to stay in the division. However, she continued to explain that “our first priority is to get the club on a strong footing and back into the Premier League.” It seems a decent promise for a recently relegated side that are involved in a promotion battle in the Championship. Unfortunately, Blackburn are not in the Championship. So quite how they intend to get Blackburn back into the Premiership when they are already there is to be seen. Despite these limited, and slightly confusing, ambitions, the new owners have a plan of how they intend to use the transfer market. “We won’t need to buy expensive players, we can always lease them.” Personally, I am not quite sure how the lease market for professional footballers works. There is the loan market, but if the new owners are hoping to get top quality players through loaning them, they have much to learn about football. As we looked deeper into the details of the recent interviews with the new owners, more worrying facts begin to appear. “The acquisition has been funded by ICICI Bank,” is one such comment that raises disturbing similarities with the style of takeover that has caused so much trauma at both Manchester United and Liverpool. Whilst the scale of the loan is much smaller, the revenue of the club is similarly scaled down. In the wake of the Portsmouth implosion and Liverpool finding themselves hours away from administration, you would hope that the Premier League have looked into the finer details of this deal in order to ensure that everything is adequate and as it seems. However, given the past record of the Premier League in such matter, my expectations are hardly high. Furthermore, they were happy to consider the idea of ‘allowing sponsorship of Ewood Park’. For such a historic stadium, could you possibly imagine it changing its name to the Coca Cola Coliseum, the Asda Arena, the Stadium of Npowered Light or the Poundland Pitch? In the most recent interview, they have stated their desire to “create a whole nation of Blackburn Rovers fans in India.” However, there are two potential obstacles to this ambition. Firstly, outside of the top, famous sides, there is little interest in other Premiership clubs in areas such as India and China. Indeed, there is often the impression that fans support individual players, rather than clubs themselves. With the lack of big names coming in, it may be difficult to attract the interest of Indian football fans. 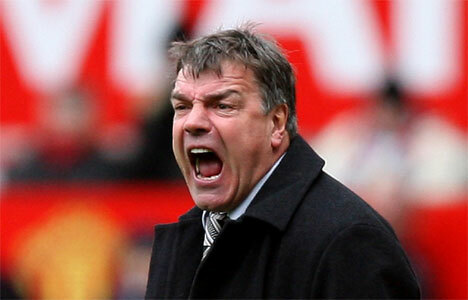 Secondly, Sam Allardyce’s brand of football is hardly going to grab the attention of the casual Indian football fan. The long ball style has served Big Sam well, but it has not garnered many fans in the wider footballing community, and it may be difficult to sell his brand of football to new Indian fans. They will initially be making £5m available to buy new players in January with ‘much more’ coming in the summer. In the modern day, £5m would struggle to buy one of the top players in the Premiership. Whilst Blackburn have hardly been big spenders in recent years, it adds more fuel to the speculation that the new owners lack the knowledge about their new acquisition and the state of the league that they play in. Although, given that they have admitted that much of the reasoning behind buying a football club is to ‘help build our brand’, maybe it is no great surprise that they are not seemingly that bothered about spending big money on the club. Now, I have absolutely nothing against foreign ownership of Premier League clubs. Whilst it is nice for clubs to be owned by English companies or owners, there is no reason why it should be any better than foreign owners. Indeed, as an Aston Villa supporter, my club has benefitted hugely from the foreign ownership of Aston Villa. However, it is crucial that foreign owners understand the scale of the English Premier League and the place of the club in the hearts of the communities that they find themselves in. Football clubs are interwoven into almost every aspect of life in almost every large town and city in England – arguably more so than in any other country in the world. And it can be difficult for new foreign owners to understand this link. Understand this link and you will take a giant stride into gaining the support of the fans. Without the support of the fans, disquiet can spread from the stands to the players. Whatever they said, the problems off the pitch at both Portsmouth and Liverpool clearly had an impact on the pitch. It will be important for the new owners to gain the support of the fans quickly. However, their early comments barely inspire confidence. Renaming the stadium, funded by the banks, leasing players and returning to the Premiership all suggest they are out of touch with the basics of the industry that they have bought into. 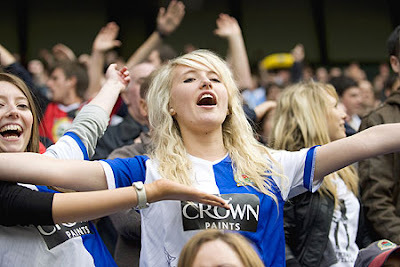 And Blackburn Rovers is not just a business – a point that they must realise quickly. For thousands of people and for an entire city, Blackburn is a way of life.